Chinese New Year storytimes at Central! 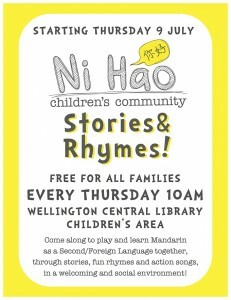 Come and celebrate the Year of the Dog with Chinese storytime events at Wellington Central Library! 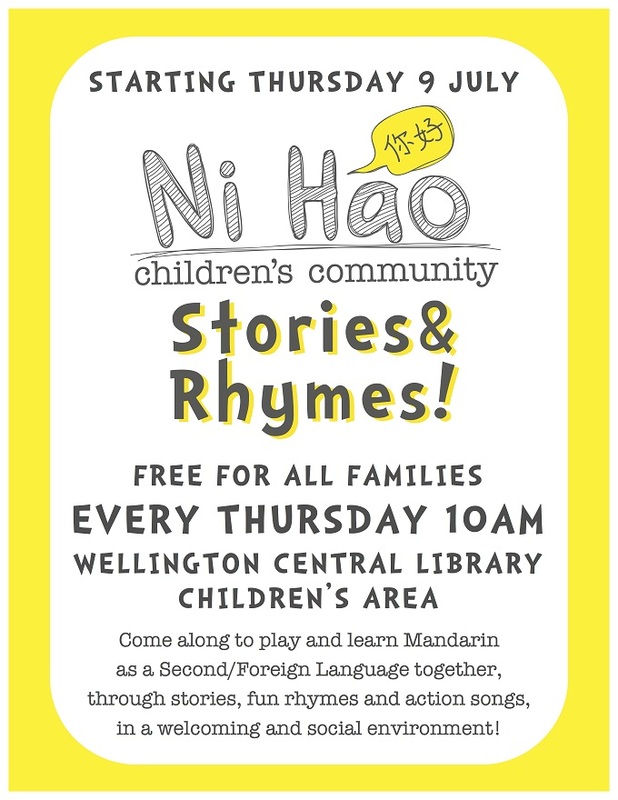 Ni Hao Children’s Community are presenting these special storytime events with Chinese picture books and action songs for pre-schoolers and their families, no previous knowledge of Chinese needed. Children (and adults) can dress up in their favourite costumes and bring along a toy dog to hear songs, stories and rhymes in Chinese. Then check out the Chinese New Year performances, activities, food and fun in Civic Square! Experience Chinese culture and language at Wellington City Libraries. There are lots of fun things to do such as Tai Chi, a Chinese film night, Nihao Stories & Rhymes for children, and much more. All for free. The popular Nihao Stories & Rhymes sessions in Chinese will take place at Central and three branch libraries during Chinese Language Week. – Central library: 10:00-10:30am, Every Thursday. Cost: Free. – Karori library: 10:30-11:00am, Tuesday 8 September. Cost: Free. – Johnsonville library: 10:30-11:00am, Monday 7 September. Cost: Free. – Ruth Gotlieb (Kilbirnie) library: 11:00-11:30am, Friday 11 September. Cost: Free. Come to the library for a 30 minute session to learn Chinese. The session will be based on the bi-lingual books at the Chinese Corner and will focus on basic communication words and phrases include greetings, travel and much more. – Karori library: 3:30-4:00pm Friday 11 September. Cost: Free. Stressed and sore? Join a free Tai Chi class at the Central Library with experienced Tai Chi tutor Aaron Lavack from the Sing Ong Tai Chi . Tai Chi can reduce stress and improve relaxation. The lesson will be held on Friday 11th of September at 12:30-1:30pm on the ground floor of Central Library. No booking is required. Enjoy a big night out with your friends to watch a film for free at the Central and Newtown Library. Films are in Chinese with English subtitles. – Central library: 6:00-8:00pm. Wednesday 9 September. Cost: Free.We will be playing ‘The Bullet Vanishes’ on the ground floor at central library. The film is rated R16, and you must be aged 16 or older to attend the screening. – Newtown library: 6:00-8:00pm. Friday 11 September. Cost: Free.We will be playing a different at Newtown. There were TV series and now a movies based on a folktale. Film is rated PG13 and recommended for audience aged 13 and over. We have special permission to screen these films for free in the Central and Newtown Library. Bookings are required as seats are limited. Please call us to reserve your seat on 801-4068(Central), 801-4083 (Chinese), or 3892839 (Newtown) during library opening hours. Note: reservations not taken up by the starting time at 6pm may be reallocated to customers waiting, as numbers are limited. 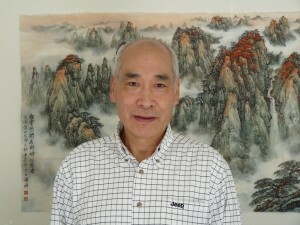 Famous painter Deyu Cheng is visiting our libraries to teach Chinese painting. Come along and enjoy an artistic experience. – Central library: 11:00-12:00am. Monday 7 September. Cost: Free. Famous calligrapher and painter Qianxiang Liu is coming to Johnsonville library to teach calligraphy. – Johnsonville library: 11:00-12:00am. Friday 11 September. Cost: Free. Have you wondered what’s on the second floor, where to find information about Wellington birth, marriage and death records and where to find books to learn Chinese? During Chinese Language Week, it’s your chance to join a free library tour and know more about the library collection. The tours will be conducted in Chinese. Two sessions available: Monday 7 September at 2:30-4:00pm and Thursday 10 September at 2:30-4:00pm Bookings are essential. Please call the information desk on 801-4068 or 8014083 (Chinese). Bilingual eBooks and eAudio books are great tools for learning Chinese anywhere you have access to the internet or you can download them to your computer or smartphone. See selected highlights from our Overdrive collection, or browse the full range of eBooks and eAudio Books on OverDrive. 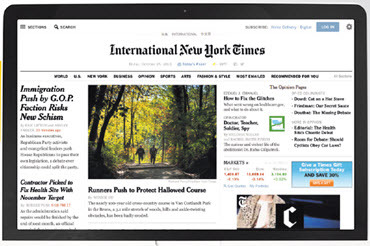 Read today’s Chinese newspapers online via PressDisplay and New York Times in Chinese. Free from Wellington City Libraries with your library card membership. 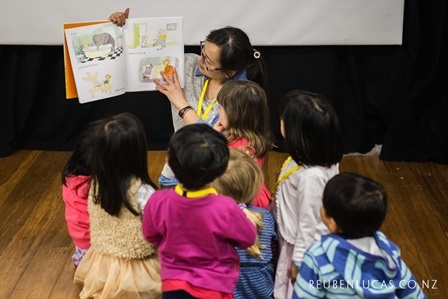 Ni Hao Children’s Community Stories & Rhymes provides a time for parents and children to play and learn Mandarin as a Second/Foreign Language together through stories, fun rhymes and action songs. 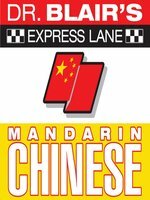 It’s also a great opportunity to hear and use Mandarin in a welcoming and social environment. Starting from Thursday 9 July 2015, these free sessions are held weekly at the Wellington Central Library children’s area (near the big window by the waterfall), Thursdays, 10 to 10:30am. Stories & Rhymes! sessions are led by teachers from the Ni Hao Children’s Community Charitable Trust, and designed for Mandarin for Speakers of Other Languages (MSOL) families who are wanting to learn the language as a second/foreign language. Fluent Mandarin speakers would also enjoy these sessions! These Stories & Rhymes! sessions are a great introduction to the Mandarin language and a very small taster of our fun class programmes. Parents and children are most welcome to hang around and mingle in the library’s children’s area after the session has finished. See you at Stories & Rhymes! Discover a rich and colourful collection of Chinese Language teaching books at the Wellington Central Library. Look at different ways of learning Chinese with the help of the new teaching resources found in the Chinese Corner and explore the plethora of new books, DVDs and CDs. The launch of the donated new Chinese Collection was hosted at the Central library last Monday, by the Mayor Celia Wade-Brown, the Chinese Ambassador Wang Lutong, the Director of the Confucius Institute and invited guests. Find out more about the Chinese language, history and culture and make the most out of the easily accessible teaching resources available to borrow for free at the new Chinese Corner. You are all welcome to visit! Ba xian guo hai xue han yu. v.1A [electronic resource] = Chinese your way / chu pin ren: Mei guo Mixigen zhou li da xue Kongzi xue yuan ; chuang yi: Zhao Yong ; bian xie: Cao Xiaoyan , Wang Ji, Li Fujia deng. Learn Chinese through stories or ‘travel logs’ recorded by several American high school students’ while traveling in China. Learners can choose to browse the stories or to use interactive features to learn words, grammar, communicative usages and other cultural information related to the stories. Ti yan Han yu. Xie zuo jiao cheng = Experiencing Chinese. [Writing course] / zhu bian Chen Zuohong deng [et al.]. Chinese for children. 1 / Multimedia Press China Central Radio & TV University ; ChinaSprout. Chinese lessons for children in the form of a story that can be used in a home or classroom setting. Learn to recognize and write common characters, as well as match them with Pinyin and English. Common knowledge about Chinese culture = Zhongguo wen hua chang shi / The Overseas Chinese Affairs Office of the State Council, China Overseas Exchanges Association. Five thousand years of Chinese characters [videorecording] / chief producer, Xu Lin ; produced by the Office of the Chinese Language Council International (Hanban) / Confucius Institute Headquarters, Beijing. Introduces the evolvement of Chinese characters and demonstrates the impact Chinese characters have exerted on the enduring unification of China, and on the passing on of Chinese culture. Serving as comparisons, the evolution of other languages is also discussed during the narration of the history of Chinese characters.